gas it, regulator, bottle, tanks, 28mbr low pressure regulator 8mm outlet - GAS IT Leisure Gas Bottles, Gas Cylincers and Gas Tanks - Catering, Motorhome, Campervan, Caravan, Farrier and Road Repair Refillable Gas Solutions. This Cavagna regulator is a single stage, direct to tank or bottle mounted 28mb regulator with 1.3kg/hr flow rate with 8mm rubber hose outlet . The regulator has got the standard UK and European 21.8LH inlet. 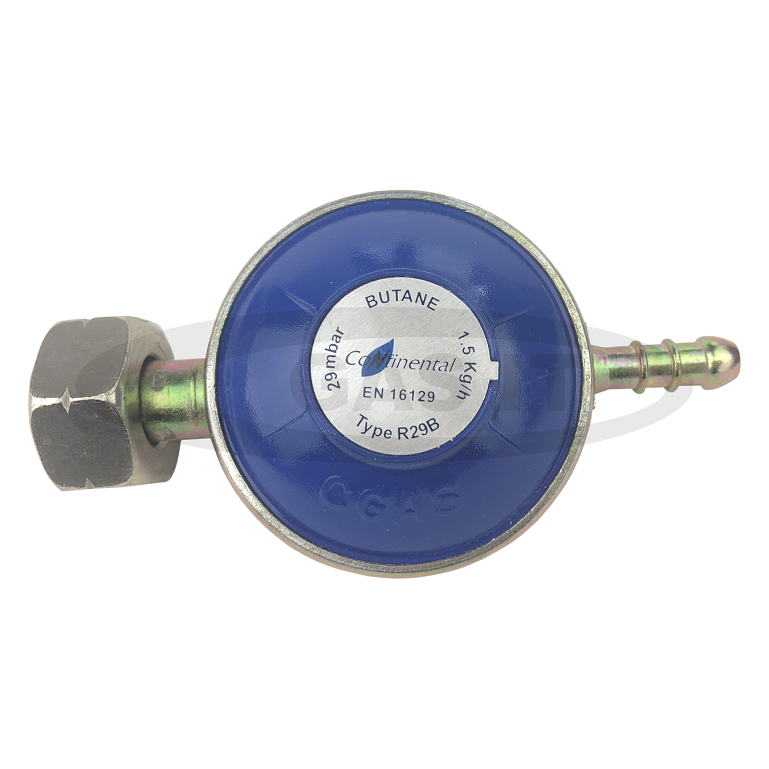 Ideal for use on GAS IT underneath vapour tanks or our refillable GAS IT or Gaslow bottles that are securely mounted and not removable.